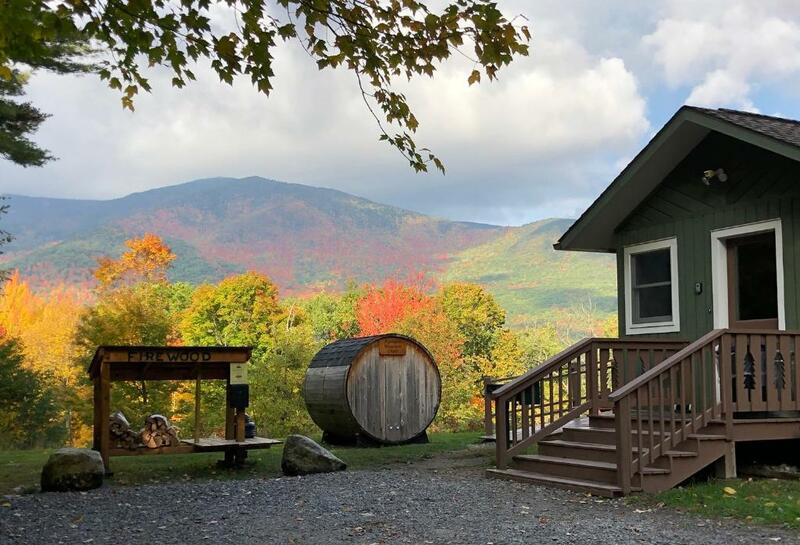 Located in Wilmington, 10 miles from Whiteface Mountain, 2.7 miles from Cloudsplitter Gondola and 2.7 miles from Mixing Bowl, Algonquin Mountain Chalet provides accommodations with a terrace and free WiFi. This vacation home is 2.7 miles from Facelift and 2.7 miles from Bear. The air-conditioned vacation home is composed of 5 separate bedrooms, a fully equipped kitchen with a dishwasher and an oven, and 1 bathroom. Towels and bed linen are available. The vacation home offers a hot tub. A grill is available on site and skiing can be enjoyed within close proximity of the property. Freeway is 2.7 miles from Algonquin Mountain Chalet, while Bunny Hutch Triple is 3.3 miles away. The nearest airport is Plattsburgh International Airport, 37 miles from the property. When would you like to stay at Algonquin Mountain Chalet? This holiday home has a hot tub, sauna, wireless internet and fire pit. 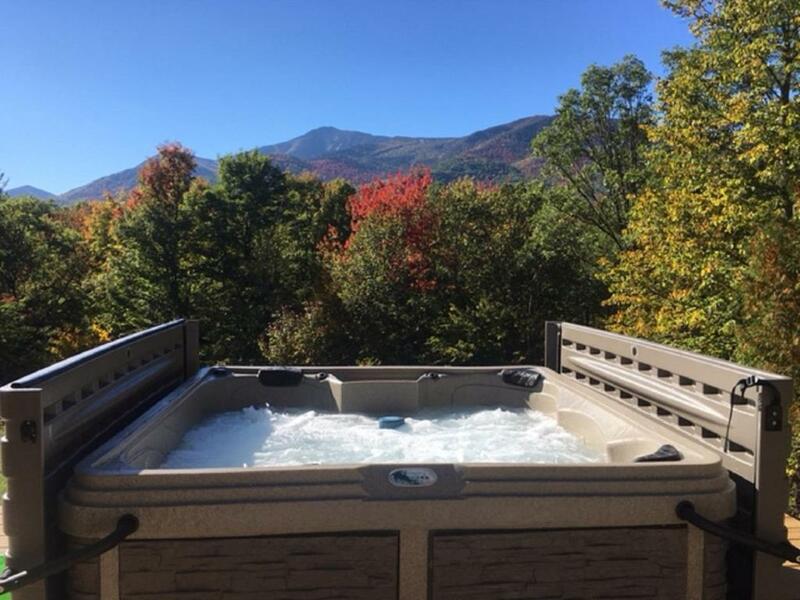 HOT TUB, SAUNA, GAS FIREPLACE, OUTDOOR FIRE PIT, FINLANDIAN DRY SAUNA, HIKE TO AUSABLE RIVER ON PROPERTY, GOURMET KITCHEN & STYLISH FURNITURE Algonquin Mountain Chalet is your dream vacation home! 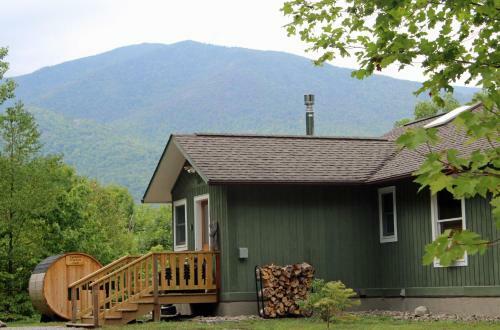 With incredible mountain views, amenities galore and a lovely walk to the AuSable River right on premises, this home is an Adirondack paradise. 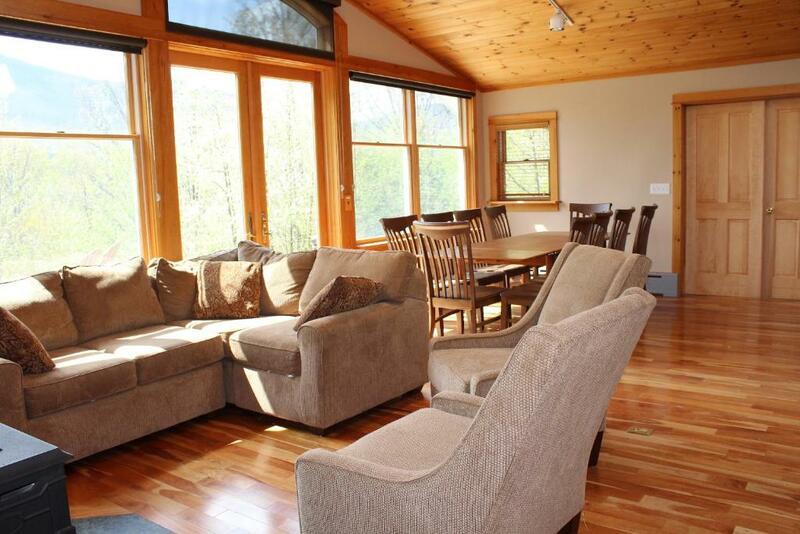 Bedroom Details: Algonquin Mountain Chalet sleeps, 16 people. There are five bedrooms, 3 King beds plus 3 Queen beds. It comfortably sleeps 12 people in 5 bedrooms. 2 foam mattresses are available that can accommodate up to 4 additional people. If there are 16 guests, please know space will be tight but you're on vacation and are free to decide what you prefer. The first bedroom is very spacious, bright and airy, it's designed to make you feel like you are sleeping in the forest, only ensconced in luxury! This room has a King bed and mountain view! Outdoor fire pit, indoor gas fireplace, nice kitchen, and much, much more, it has everything you and your travel companions will need to truly relax. 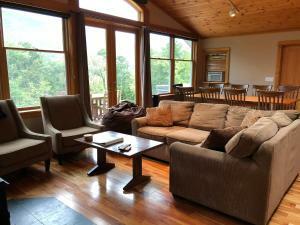 Algonquin Mountain Chalet is a perfect place to stay for your vacation. Note: Summer bookings are accepted Saturday to Saturday only!! Adirondack-Vacation is made up of a dedicated team of individuals whose goal is to ensure each guest enjoys their vacation at our homes. The owners have many years of experience in the vacation rental business and know what it takes to ensure each guests satisfaction. They, combined with cleaning teams and a maintenance team, work tirelessly day in and day out to ensure the homes are perfect for each guest's arrival. 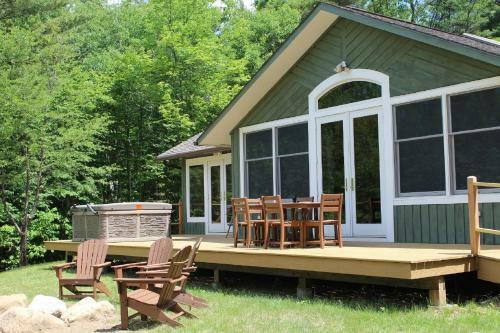 Adirondack-Vacation homes are points of pride as well as their homes away from home. They love being able to share their homes with their guests. With a dedicated maintenance team and a couple of really awesome clean teams, the homes are kept in pristine condition. The maintenance team is on site often doing preventative maintenance and keeping everything in perfect working order. The clean teams are often in the homes doing super deep cleans on vacant days and work hard to ensure that each home is spotlessly clean. The Adirondacks is 6 Million Acre Park, this house is located in the High Peaks area, near Whiteface Mountain Ski Resort for skiing and mountain biking. Other attractions include the Wilmington Flume, Santa's Workshop, High Peaks Gorge, Olympic Ski Jumps, Mt Van Hoevenberg Cross Country Ski Area with a luge. Also nearby are numerous hiking trails, fishing, snowmobiling, and so many other activities. Escape for a peaceful, tranquil vacation. You will love it here! House Rules Algonquin Mountain Chalet takes special requests – add in the next step! Algonquin Mountain Chalet accepts these cards and reserves the right to temporarily hold an amount prior to arrival. We need at least 5 reviews before we can calculate a review score. If you book and review your stay, you can help Algonquin Mountain Chalet meet this goal. Sauna was not up to par. You had to sit right next to heater with feet off floor, if you wanted use. If you sat away from heater it was to cold, the floor was far to cold to stand on with bare feet. The view, location to Whiteface. 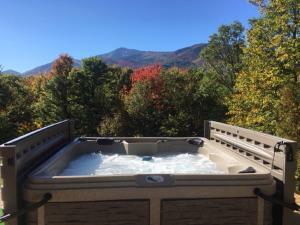 Amazing stay, view, trails, so relaxing with the hot tub and sauna. Definitely want to do this every year! !